Granola is always in my shopping cart it seems. Seriously! My husband adds it to so many things, I add it to yogurt all the time, we eat it with fruit, recently I used granola to make a chocolate apple mug cake that literally took two minutes to cook. 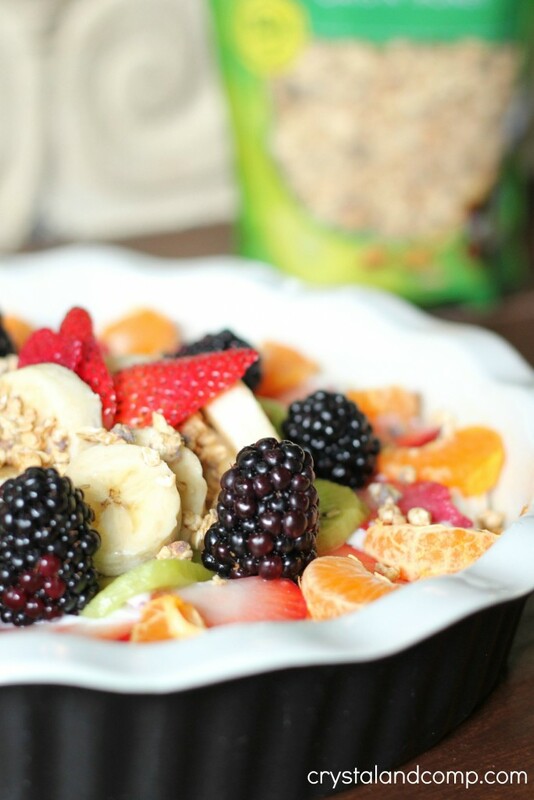 How often are you thinking outside the box with granola? There are so many ways to incorporate it into your day. 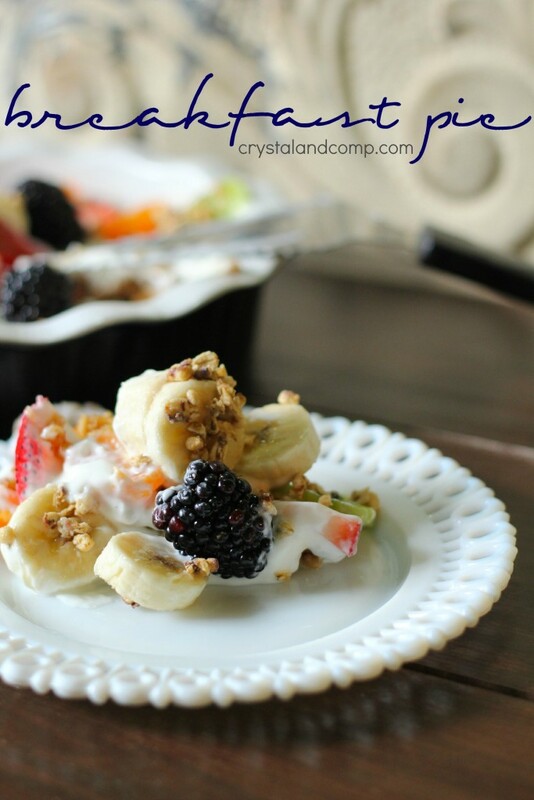 Today I am going to share with you an easy breakfast recipe that is perfect for summer time. Have you ever had breakfast pie? Let me show you how easy it is to make. Place the granola in a pie plate. In a small bowl combine the melted butter, honey and vanilla. Stir well and then pour over the granola. Mix the granola and butter mixture together well. 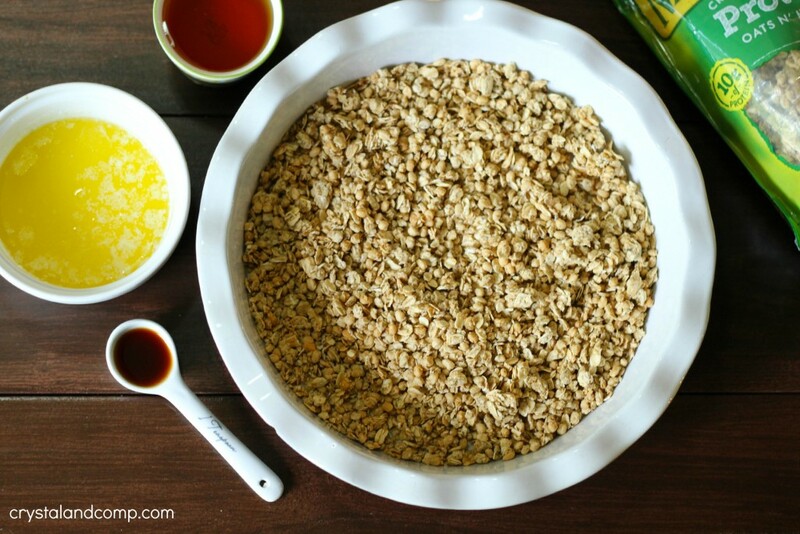 Once full coated press the granola firmly and evenly into the pie plate as a pie crust. Pop the pie plate into a 325° oven for 15 minutes. 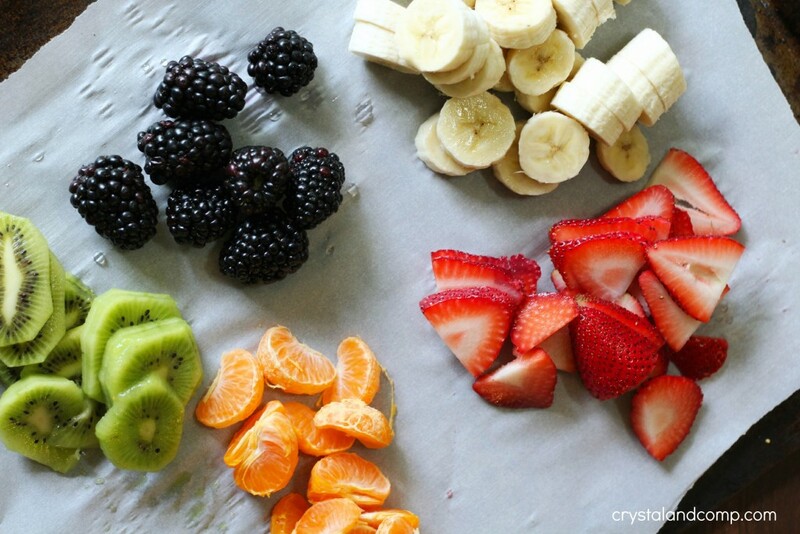 While the granola crust is baking, slice and wash your fruit. 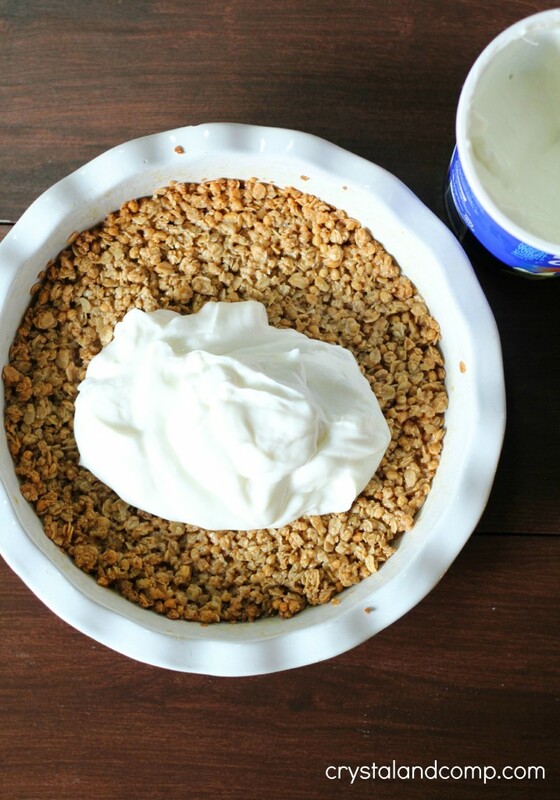 Once the granola crust is bubbly brown, remove it from the oven and let it cool. Once cool add the yogurt over the crust. Distribute it evenly. Now arrange the fruit on top of the yogurt. Sprinkle with a bit of extra granola if you want. Nature Valley has some new varieties out right now. I sprinkled the top with the Oats and Dark Chocolate but this is totally optional. 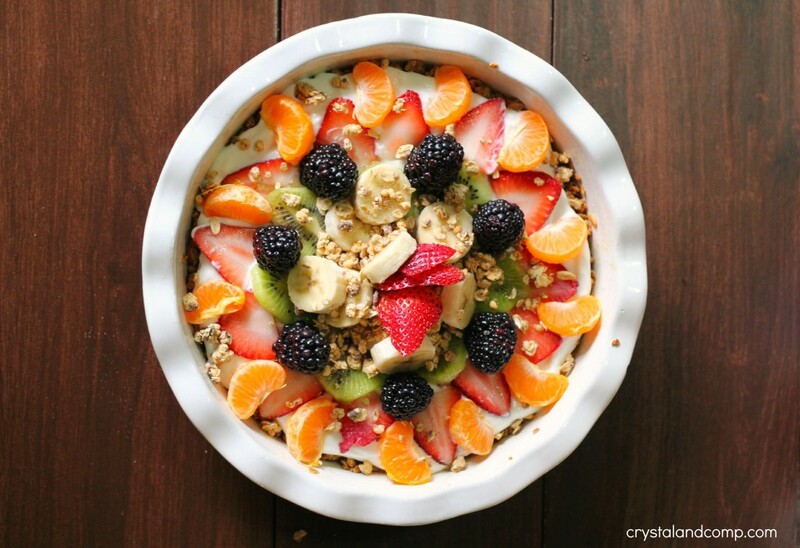 This is a filling and flavorful breakfast pie!